Feeling tired? Are you so exhausted that you don’t even feel like eating? Nettle tea may be the answer. This tea is made from the common stinging nettle. If you have had the unfortunate experience of brushing up against this herb, you’ll think that nothing good can come of it and will probably feel like scratching that old, now only imaginary, itch again. However, this Mediterranean herb has many health benefits hidden beneath its surface. 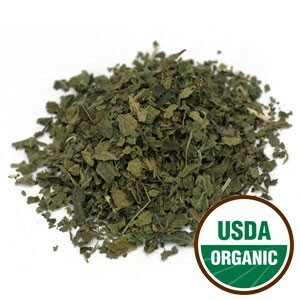 Nettle herbal tea is made from the leaves – fresh or dried -, roots and seeds of this herb. There are numerous varieties of this plant, but it is the stinging nettle (urtica dioica) that is best known for its health benefits. Nettle is a green perennial herb that reaches 1 to 2 meters in height in the summer. It is also a flowering plant native to Europe, North Africa, Asia and North America. 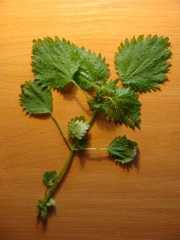 It has soft green leaves, 3 to 5 cm long with thin stinging hairs. These hairs should not be mistaken for thorns; the plant releases a stinging poisonous liquid that enters the pores in the skin when hairs are crushed. Though not dangerous, it causes irritation in the skin. This herb has been used in European medicine since ancient times, helping people century after century. Today, studies are being performed which prove the invaluable qualities of nettle as healing herb. Now let’s look at the benefits of nettle, before learning how to prepare this tea and more importantly, how to pick this plant safely. This tea is made from leaves that are rich in vitamins A, B1, B5, C, D, E and K, iron, potassium, copper, zinc, magnesium, calcium and others. It also contains flavonoids, essential amino acids and proteins. 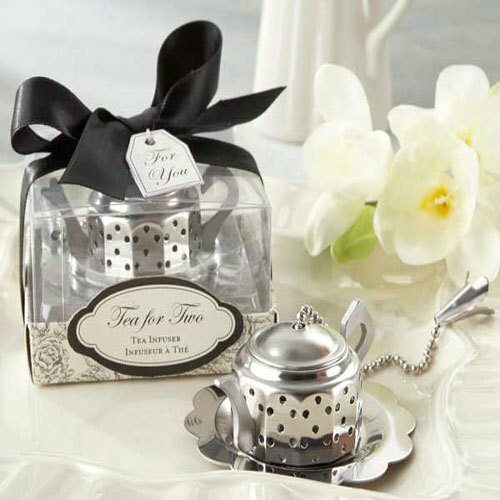 The high levels of iron present in the tea are essential to improve blood circulation and to lower blood pressure. Acting as a diuretic, nettle herbal tea eliminates sodium from your body. It also decreases sugar levels in the blood. Again iron makes this tea anti-anemic improving on the overall well being of your organism. 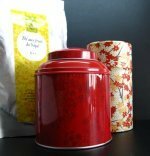 This tea is the right choice for helping in cases of physical and mental exhaustion. It stimulates your appetite, helping you to regain your strength in a healthy way. It builds up a natural defense mechanism in your body as well as eliminating viruses and bacterial infections. Nettle tea also helps with respiratory problems by fighting coughs, tuberculosis and asthma, clearing your lungs when you most need it. If you have intestinal disorders, nettle tea is recommended. It also helps with cases of dysentery, diarrhea, hemorrhoids and it is good for aiding the treatment of liver, bile and spleen diseases. It has a slight laxative effect, so best not to overdo it. Nettle tea may treat urinary infections, kidney inflammations and help prevent water retention. It helps to dissolve kidney stones and being a blood purifier, driving toxins from your body. It is good for increasing fertility in men and women. During the pregnancy it gives nutrients to the mother and the fetus, while preventing anemia at this stage. It decreases pain during and after delivery due to its high calcium content and it prevents hemorrhaging after childbirth due to high levels of vitamin K. However, remember to consult with you physician. Each mother and each baby is unique, so ask your doctor whether you may take nettle or not. Afterwards, it increases quality and quantity of breast milk. As an astringent tea, it helps relieving excess discharges. This tea helps healing certain skin conditions and dealing with allergies such as hay fever and eczemas. It aids with muscle and joint diseases such as rheumatism, arthritis, tendonitis, due to its high calcium content. You should drink this tea if you have broken or frail nails, as it is rich in iron and calcium. 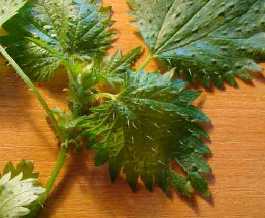 Nettle can be used in the cosmetic world, for flavoring toothpaste, for example. Also nettle infusions and tinctures can be applied externally for healthier and smoother hair. There have been some rare side effects reported related with allergies to nettle, however it is generally safe, even during pregnancy as it helps with pregnancy related anemia. 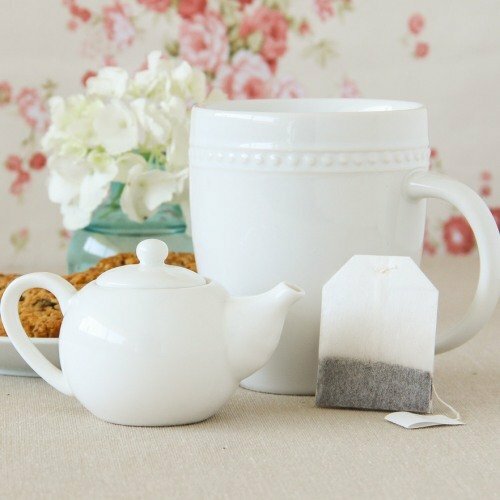 Infuse 2 to 4g of dried leaves per cup of boiling water. Let it steep for 10 minutes and then take 3 times a day. This nettle infusion should help you in cases of rheumatism, exhaustion, lack of appetite and prostate problems, acne and other skin afflictions. This tea may be drunk hot or cold, sweetened and flavored with lemon. Now that you’ve decided you want to make nettle tea, the question is how to come by some stinging nettle without getting stung in the process. 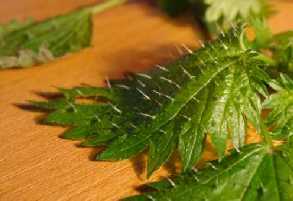 There is always the possibility of buying dried herbs from a local shop, but if you happen to come across some fresh nettle, here are some tips that may save you from some really undesired itching. Some say that if you brush the leaf in the direction from the leaf tip to the stem and down the stem you won't get stung. However, if you do not wish to try this, just hold the leaf with the tip of your fingers. This is because you have no pours on your fingertips. When you brush nettle leaves against your skin it releases a stinging liquid, you feel a stinging sensation not because the hairs prick you but where you have skin pours to absorb the liquid. Here’s a tip: you can always get some oven mitts or gardening gloves. Once you scald the nettle in boiling water, it loses all its stinging properties and becomes perfectly safe to handle, once it has cooled off, of course. Buy Your Nettle Tea Today! Click on the image or on the links below to purchase from Starwest Botanicals your Organic Nettle Powder. Try this alternative way to make your nettle tea. Use powdered leaf and never risk a sting again! Try Nettle Herbal Tea today!